We are an outstanding entity engaged in providing the best quality Flow Transmitter for Steam. Under the stern guidance of our highly experienced professionals, this transmitter is manufactured with the use of the excellent quality components and the innovative techniques. 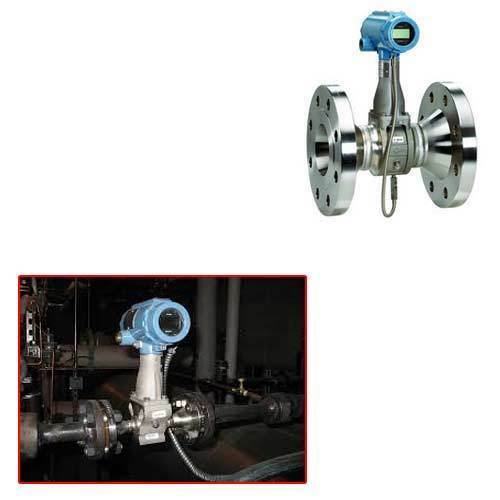 Used for controlling the flow of liquid, this steam is made available in several specifications for clients. Moreover, we provide this transmitter at economic prices to our clients. We, MKR Industrial Automation & Services Private Limited, took off in the year 2008 and have been touching great heights since then as manufacturers, suppliers and traders of PLC, HMI, SCADA, DCS, Drives Control panels we have received much success and appreciation. We also Automation Training, PLC VFD Repairs and AMC services. All our products come with a well-tested design and superior quality that enables them, to have an enhanced service life with excellent performance all throughout. In addition to this, we are successfully able to serve the customers satisfactorily by providing AMC, PLC and SCADA Programming Services for Multi brands. Our products are backed with an extremely strong infrastructural background and we offer customised solutions to our esteemed customers. We are comprised of a team of superbly talented dexterous professionals who do not fail to serve the company with the best of their abilities. We never shy away from implementing the upgraded technology in the work that we do in order to be at par with the latest trends in the market. Each product and solution from our side goes through multiple rounds of quality checks before getting ready for dispatch and delivery. Time deliverance is something that we pay utmost attention to so that we are able to send across happiness to our customers. Owing to these aspects, we are the no 1 multi brand system integrator and able to provide the products and services of some reputed brands such as SIEMENS, ABB, MITSUBISHI, DELTA, SCHNEIDER and OMRON etc.